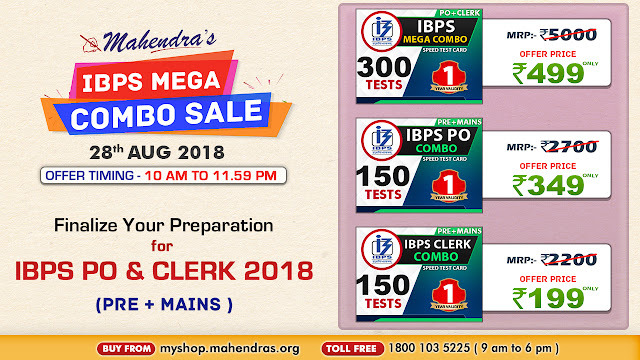 Mahendras is again back with its "IBPS MEGA COMBO SALE" exclusively for IBPS Speed test cards. You can avail both the Prelims and Mains STs under these cards. Now when the exam is so near now, it is the best time to start your preparations for IBPS Exam. So hurry up and don't miss the sale. 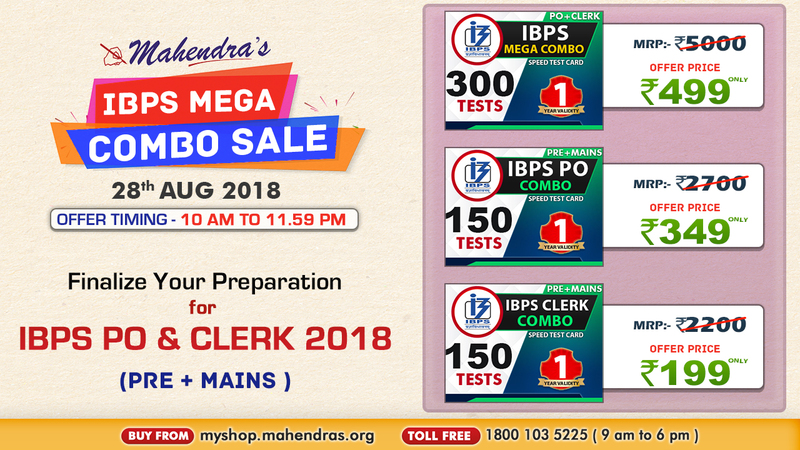 You can get exciting offers on various Speed Test Cards For IBPS PO/Clerk Exam 2018 under the sale. The offer will be active from 10.00 am to 11.59 pm today i.e. 28th August 2018. The offer is available on myshop.mahendras.org. 1. 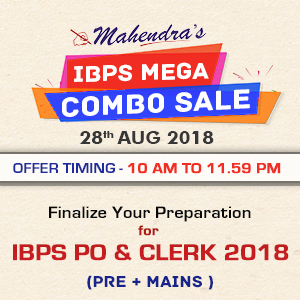 IBPS MEGA Combo (PO+Clerk) ST Card- You can get this card at just Rs.499. It is originally priced at Rs. 5000, so you will save Rs 4,501 under the offer. You will get 300 Speed Tests in this card. 2. IBPS PO Combo (Pre+Mains) ST Card- You can get this card at just Rs.349. It is originally priced at Rs. 2,700, so you will save Rs 2,351 under the offer. You will get 150 Speed Tests in this card. 3. IBPS Clerk Combo (Pre+Mains)ST Card- You can get this card at just Rs.199. It is originally priced at Rs. 2,200, so you will save Rs 2,001 under the offer. You will get 150 Speed Tests in this card. If your aim is to crack IBPS PO/Clerk Exam 2018, then this offer is just for you! !